cutting-edge audio & visual system. Inquire About A Private Party In Our V.I.P. Room! rental, cutting edge audio & visual system. -Arcade Cards for Some Additional Fun! 3-hour party. Minimum 30 adults. Includes unlimited bowling & shoe rental, portable bar with bartender, pool table, customization of projection screens, cutting-edge audio & visual system. Children’s parties, adult parties, corporate events: if it’s a party, hold it at The All Star. We have professional event planners on staff to customize your event. We’ll make your party everything you’ve been dreaming of. • Any Party You Can Imagine! We are one of the best party places around. Whether you’re 5, 25, or 50, a bowling birthday party is always a treat! The All Star is happy to host parties for bowlers of all ages. 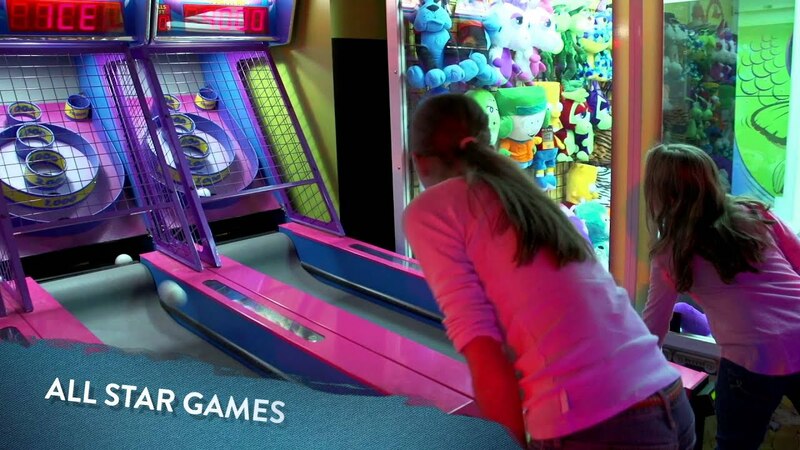 Not only do we have a 6-lane private VIP Room, but we also have games, billiards, & food that everyone will enjoy. There’s an activity for every age group.